The evolution of the EB-5 transactional process continues to develop, becoming more complex due to the limited number of EB-5 investors and the ever-increasing supply of quality EB-5 projects. The ability of developers, sponsors, issuers and regional centers to quickly raise desired levels of EB-5 capital will need to become more acute due to the fierce and growing competition in the industry and the ever-growing retrogression challenges that face EB-5 investors from China. Typically, EB-5 groups have exclusively relied on the Regulation S exemption utilizing foreign finder/agents to raise EB-5 capital strictly offshore from non-U.S. residents. While this is the industry norm and has worked for decades, the challenges noted above and the very divisive issue of immigration in general right now under the Trump administration have created an immediate need to target new (non-Chinese) markets and the introduction of creative marketing methods for raising EB-5 capital. Let’s highlight how EB-5 groups effectively and legally can raise EB-5 capital directly from non-resident aliens in the U.S., including those on alternative H and F visas. 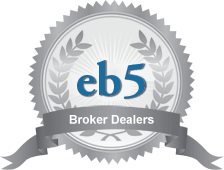 In order to be compliant with U.S. securities laws, the most effective avenue for EB-5 groups to market and solicit EB-5 securities within the U.S. is through a registered, licensed and experienced U.S. securities broker-dealer (BD) in good standing with SEC and FINRA. To accomplish this, non-broker-dealer groups may: purchase an already existing BD; affiliate themselves with a BD; seek their own BD registration; or use the services of an established BD within the EB-5 industry. BDs have served a critical purpose for the last 85 years in the U.S. capital markets, owing a duty of independent due diligence on projects and professional determination of suitability of EB-5 investors for each respective investment a BD represents. As BDs are registered with the SEC and are members with FINRA, they are accountable to FINRA to protect the interests of EB-5 investors, whether the investors are actual clients of the BD or not. Marketing your EB-5 project successfully within the U.S. requires a BD to conduct extensive due diligence on the principals and management team associated with each offering and independently verify all information in the project offering documents. It also requires them to review all marketing materials, including websites, presentations, project brochures and project teasers for compliance with U.S securities laws and ensure the information agrees with other information contained in the offering documents. Also, a BD must ensure the individuals or employees of the BD soliciting/offering your EB-5 transaction to prospective EB-5 investors hold the appropriate securities licenses at the firm and have a proprietary onshore network and comprehensive marketing plan to effectively market your project. Registered representatives involved in the origination, structuring, execution, solicitation, subscription and funding of an EB-5 transaction are required by law to hold FINRA series 79 or 7, 82 & 63 securities licenses. Additionally, BD principals must devise and implement FINRA-compliant written supervisory procedures for their registered representatives to follow, ensuring each professional working on these offerings is properly trained to ultimately protect EB-5 investors. Marketing your EB-5 projects within the U.S. through a BD will help ensure all aspects of the transaction, starting with solicitation and subscription through funding of the project area in compliance with U.S. securities laws. The regulatory and compliance risk of the issuer is substantially mitigated and transitioned to the BD. This adds another layer of protection for EB-5 investors, thus increasing project marketability and opening emerging markets that are relatively untapped. It also ensures projects are funded quicker and in compliance with U.S. securities laws. The Trump administration has been very palpable in letting its views be known with regards to immigration in general. Politicians in Washington have taken actionable steps to restrict immigration to the U.S. via issuing an executive order on April 18, 2017, to “Buy American and Hire American.” This has significantly restricted H-1B access, highlighted by the significant reduction in approval rates, from 87 percent in 2016 to 57 percent in 2017. It is now more difficult to obtain the popular H-1B employment-based visa, and this trend looks set to continue in the same vein for 2018. Millions of foreign students in the U.S. on F-1 visas realize the steep challenges in obtaining the H-1B visa, including an employer’s reluctance to sponsor foreign individuals. This is due to the time, expense and poor approval odds at hand, which suggests foreign students in the U.S. mainly have two other reasonable options to remain in the U.S: either marry an American citizen or file an adjustment of status via an EB-5 application. This is potentially a huge market that has not been tapped effectively in the industry but can be via partnering with the correct BD firm. In particular, there are approximately 750,000 Indians on H-1B visas in the U.S. who are stuck in EB-2 or EB-3 backlogs, waiting for their respective green cards. The AC21 rule allows H-1B holders to extend their status past the H-1B six-year limit. However, the Trump administration is taking steps to eliminate the AC21 rule, which would cause these 750,000 Indians on the H-1B visa and anybody else who has reached their six-year limit to return home, which would be disastrous. Conjointly, families on extended vacations in cities are prime prospects to received EB-5 project marketing via planned seminars and other means. These could also be more aggressively marketed through a 506-C offering, which allows for direct general solicitation via traditional and emerging advertising means. An attractive proposition about prospective onshore EB-5 investors is generally that most, if not all, of their funds are within the U.S., virtually eliminating the difficulties/restrictions on exporting capital that is experienced for investors from certain countries such as China and Vietnam. This would streamline and make the EB-5 process more efficient in funding projects and working through the source of funds documents. Overall, the millions of foreign students in the U.S. wanting to stay beyond their post graduation one-year Optional Practical Training (OPT) visa, the difficulties/poor approval odds noted above in obtaining the H-1B visa, the reluctance of American employers to sponsor foreign candidates for the H-1B visa, the challenges in converting your H-1B visa into a green card post your six year limit due to severe backlogs in the EB-2 and EB-3 categories, the potential removal of the AC21 rule and targeting families in the U.S. on extended vacations opens up a growing and emerging market for issuers to market their EB-5 projects. Now we will analyze how to access these prospective EB-5 investors. There is a myriad of ways to reach these potential onshore EB-5 investors. However, the key will be having the appropriate relationships and networks to make this occur, as gaining access to these investors is much easier stated than accomplished. There are several options one can take in the mind of the EB-5 marketer or placement agent. A place to begin might be to hold multiple seminars on college campuses that educate foreign students on the parameters of the EB-5 program, allowing you to market your given project. A record high of over one million foreign students came to America for higher education in 2016, proving the vast potential of this market. California, New York and Texas were the most populated states of foreign students, with numbers of 150,000, 125,000 and 115,000, respectively. New York University, University of Southern California, Arizona State University and Columbia University were the top four universities hosting foreign students, with numbers of 15,500; 13,300; 12,800 and 12,700, respectively. China (30 percent), India (19 percent), Saudi Arabia (8 percent) and South Korea (8 percent) were the top four places foreign students came from. Additionally, within these colleges you can target independent societies or social clubs primarily comprised of foreign students. Seminars and presentations in cities that attract a high number of tourists and have a high number of non-resident aliens could be effective in targeting prospective onshore EB-5 investors. It is evident that places such as Orlando, Disneyland, Silicon Valley, California, New York, Texas, New Jersey and Miami would all have a high number of non-resident aliens and tourists. Examples of where these EB-5 seminars and presentations could be held include name-brand hotels, convention centers or luxury commercial office spaces. They could be catered events with quality food and drinks, accompanied with a small gift for attending. Approximately 70 percent of H-1B holders are employed by large corporate IT and tech firms in Silicon Valley. From 2001 through 2015, approximately 1.8 million H-1B visas were issued in the U.S., with Indians and the Chinese accounting for 50.5 percent and 9.7 percent of approved H-1B visas, respectively. Targeting the millions of existing H-1B holders who are primarily in California (17.7 percent), New Jersey (14 percent), Texas (12.2 percent) and New York (7.2 percent) in your EB-5 marketing efforts could bear a lot of fruit due to the sheer size of the market. Like other alternatives, electronic promotion could be more compatible with your business model than webinars. You could utilize email and/or social media as a more cost-effective method to market EB-5 projects to onshore investors, utilizing the 506(c) Jobs Act exemption. For projects with larger marketing budgets, domestic investor road shows, coordinated with experienced U.S. immigration attorneys and their clients, could be another avenue for EB-5 groups to explore and market their EB-5 project. It is clear that marketing EB-5 projects within the U.S. is an incipient phenomenon that has not been effectively executed by any EB-5 groups thus far. The rhetoric and aggressive actions coming out of Washington to curb U.S. immigration, the severe challenges with attaining and converting the H-1B visa, the banning of citizens from certain countries to enter the U.S., and the millions of foreign students and other non-resident aliens studying and working in the U.S. presents a huge opportunity for the EB-5 immigrant investor program. It is evident that the first movers in this category to partner with an experienced, licensed and registered U.S. securities broker-dealers have great potential to be successful in substantially assisting with the funding of their respective EB-5 projects within the United States.